If you’ve been here awhile, you’ve seen my favorite green wreaths. I’ve just put them up for the third year because as simple as they are, I’m still in love with them. I had made these moss wreaths last year for a little change, but I didn’t really love them like I thought I would, and before long, I was back to my stand-by’s. 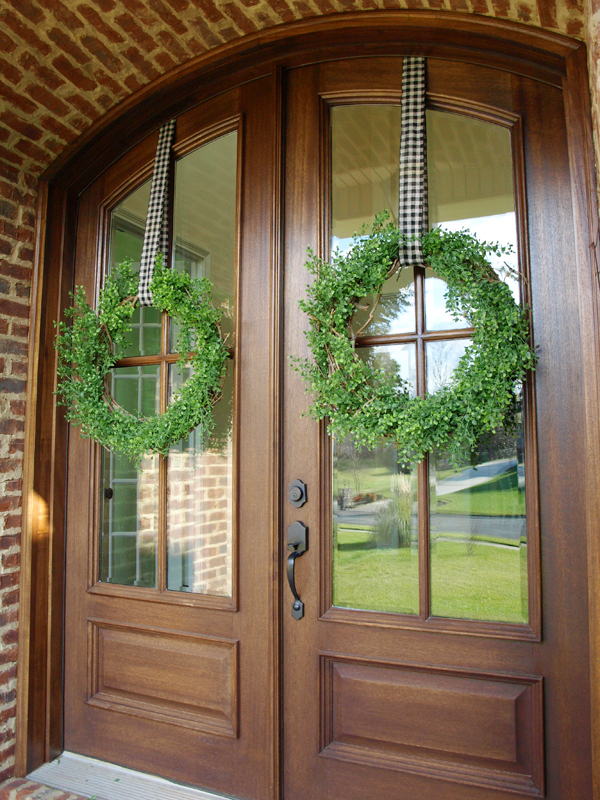 Click here for the original tutorial if your doors need a little something green. 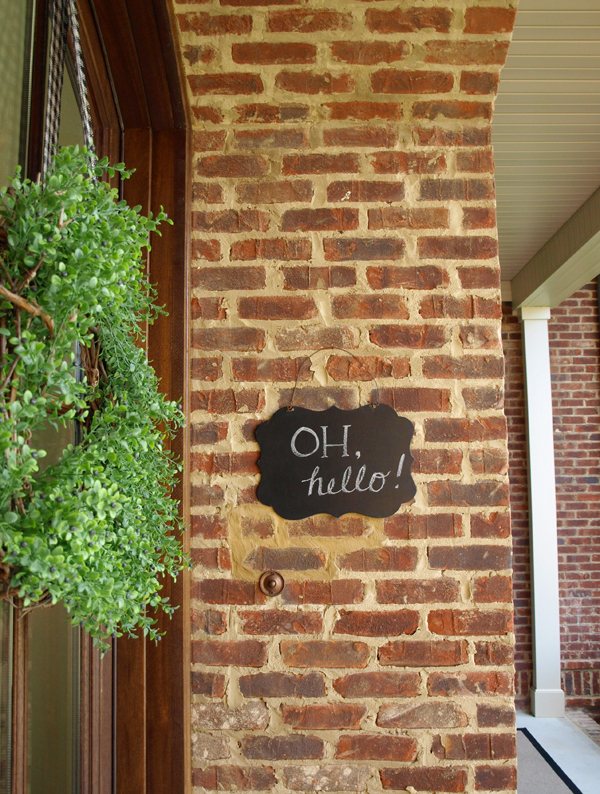 For even more fun, check out the how-to for a front door chalkboard as well. This entry was posted in Uncategorized and tagged Front Porch, Wreaths. Bookmark the permalink. Follow any comments here with the RSS feed for this post. Post a comment or leave a trackback: Trackback URL. 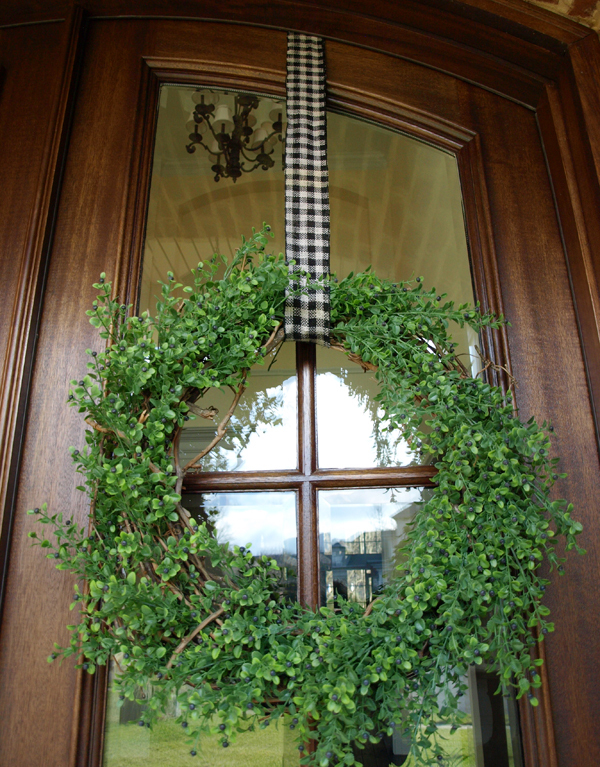 I love boxwood wreaths! 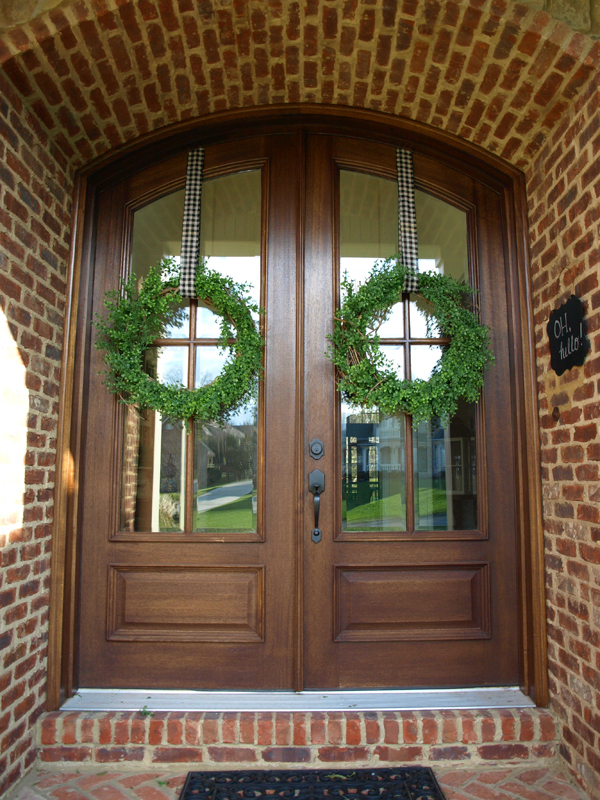 I like the idea of stapling the ribbon of the wreath to the top of the door. We had to take our wreath down this year because the door hanger was scratching our new woodwork. That's a great alternative to a door hanger! How I love these wonderful wreaths! I may have to try my hand at making some. I have double doors too. Happy New Year.